Learn about the work we do to help you achieve success, and how your success makes all our work worthwhile! 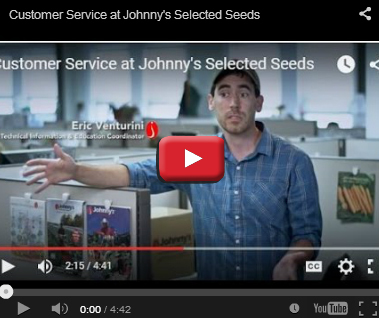 The story behind Johnny's award-winning customer service — from our small diversified farmer and avid home gardener customers, together with call center, research, and quality assurance staff. A peek behind the scenes at our same-day shipping shipping process. We know you need to receive your seeds, tools, and supplies in as timely a fashion as possible — here's how we make that happen, year-round, season after season. Learn how our classical plant breeding team brings award-winning vegetable varieties to life at Johnny's Selected Seeds. Nothing goes in our catalog or out our door until it's been rigorously field-tested or trialed at Johnny's Research Farm in Albion, Maine or at one of our farmer–cooperators throughout the country. 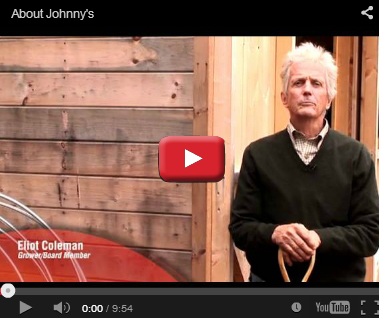 An overview of Johnny's philosophy and history, featuring agrarian elders Rob Johnston, Jr. and Eliot Coleman, our customers and employees. 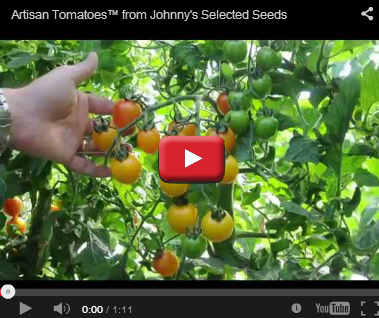 Johnny's Product Technician Lindsay Spigel provides an overview on pelleted seeds and discusses some key advantages. 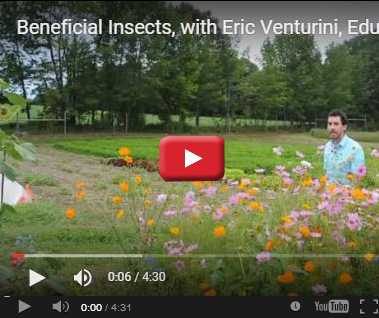 Johnny's Education Coordinator, Eric Venturini, gives an overview of strategies to enhance, protect, and support beneficial insect communities. The work of Dr. Lamborn has brought us considerable improvements in pea breeding — from exquisite flavor and appearance to increased disease resistance, higher yields, smaller pods for efficient processing, and ease of picking for field workers. Learn what makes 'Cherry Bomb' so exceptional: appearance and flavor combined with late blight resistance and performance, for organic field production. Emily Haga, Tomato and Lettuce Breeder, on the unique flavor and the color, size, shape, and texture of this crack-resistant, sweet-tart tomato — bred by Johnny's and certified-organic! A demonstration of the hand-pollination technique employed in our traditional pepper breeding program at Johnny's Research Farm. While growing tomatoes for fresh eating differs little from growing them for seed, how they're harvested and processed for seed production is entirely different! 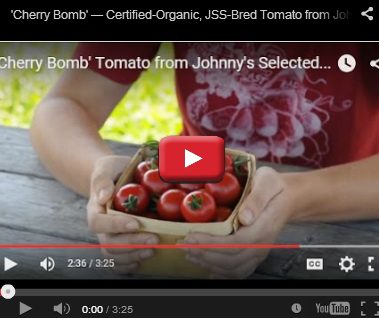 Watch how we produce organic 'Washington' Cherry Tomato seed. A look at one of our earlier microgreens trials, with guidance on determining how much seed to plant, turnaround time, and projected yield. Senior Trial Technician and vining crops expert Andrew Mefferd leads a virtual tour of our greenhouse trials — come take a peek at just some of what we've got growing here at Johnny's Research Farm! 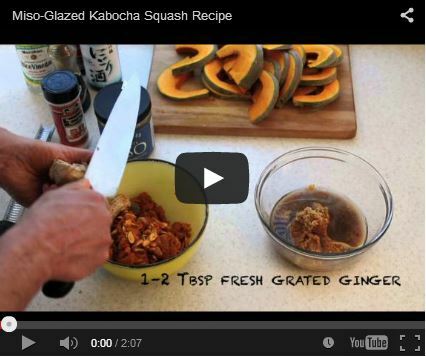 Johnny's Vegetable Product Manager, Pete Zuck bakes up the last of our long-storing Kabocha Squash. Quick, easy, and savory-sweet, this is surely one of the most nourishing, delicious ways to celebrate the late-winter transition to spring. Johnny's Tools & Supplies Product Manager provides a bed preparation tutorial using tools designed for small-scale farmers and backyard gardeners. Tools include the Broadfork, the Tillie, the Tilther, the Seedbed Roller with Row Markers and Dibbles, and the Paperpot Transplanter. Deeply aerate the soil without disturbing the soil structure, using these European-designed broadfork tools, developed in partnership with Eliot Coleman. Johnny's Tools & Supplies Product Manager demonstrates the Broadfork, a tool that is great for loosening and aerating the bed, maintaining soil structure, and for harvest, depending on the model design. Shown here is Model 727, the 7-tine Hardpan Broadfork. Johnny's tool consultant and author Eliot Coleman demonstrates the collinear hoe. This handy gardening tool makes elimination of weeds quick and enjoyable. Available in 2 sizes, including a version with a replacement blade. Installation instructions for the 3rd-generation of the CoolBot, a device which provides an economical and energy-efficient way to transform an insulated room into a walk-in cooler to keep your fresh produce at peak flavor and quality. Installation instructions for the wi-fi-enabled version of the CoolBot, a reliable, easily installed and maintained device which allows you to receive critical alerts, track valuable data, and remotely control your cooler from your mobile device. The Duratool Taper System (formerly known as the "Ty'mup") makes securing plants to supports quick and convenient. Perfect for tomatoes, peppers, and any other trellised crop. A hand planter for corn, beans, squash, pumpkins, melons, cucumbers, and sunflowers, on open ground or through plastic mulch. Designed for the small-scale market grower and large-scale home gardener. Fast and easy to operate; furrows, plants, covers seeds, and marks the next row, all in one pass. Burn weeds out of your soil at the wave of a wand. Backpack portability makes this flame weeder perfect for creating stale planting beds and spot weed control without herbicides. The Four-Row seeder allows you to plant a full raised bed of dense baby greens, lettuce, carrots or other crops in just minutes. 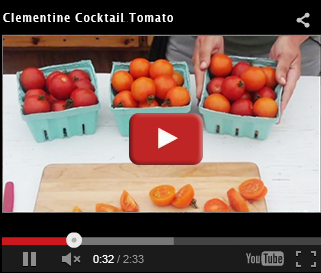 Watch this quick demo in a raised bed. The tool choice for greenhouse planting. Plants 4 rows that are 2-¼" apart; or, plants 2 rows that are 4-½" or 6-¾" apart. Comes with 4 seed-hole sizes. The Four-Row Cultivator allows for quick and easy, yet precise cultivation between densely planted rows, and provides an efficient way to keep salad and greens mixes free from weeds during that critical, early-growth stage. Provides fast, quality weed control between rows. This Swiss-made hoe has a multitude of optional attachments available separately. A demonstration of our original Greens Harvester — available in 3 sizes — as well as the key elements of keeping this highly efficient tool clean and sharp. Transplant from a standing position, to save time — and your back! Works best with 2 people: one person operates the tool while another handles the transplants. An introduction to the Jang JP1, an extremely versatile seeder to optimize seeding ease and efficiency, with an overview of Jang JP1 anatomy, accessories, and rollers. High-quality knives and machetes enable you to harvest your crops much more quickly and cleanly. Years of research have gone into the design of Johnny's durable, commercial-grade trapezoid hoes, collinear hoes, stirrup hoes, cultivators, and wire weeders. 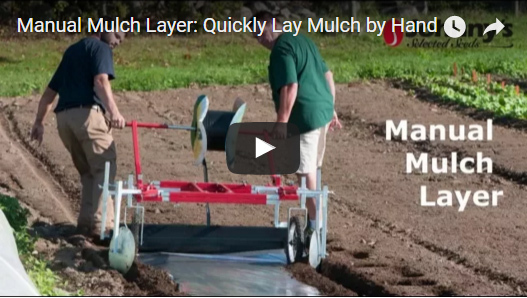 Watch how quickly and efficiently this people-powered tool enables you to lay mulch. Great in small spaces as well as the open field, and fully adjustable for a wide variety of bed widths and mulch sizes. 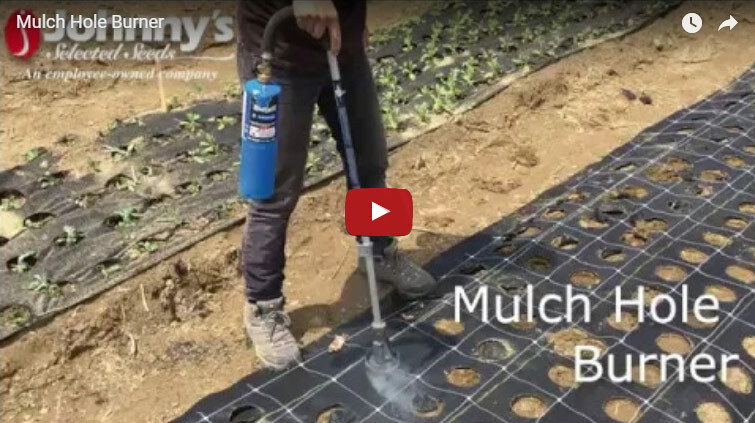 Watch how to quickly and accurately burn holes in mulch or landscape fabric using Johnny's Mulch Hole Burner. The result of a design–build collaboration between Eliot Coleman and Conor Crickmore, this lightweight flame weeder accessory transforms any backpack flame weeder into a rolling bed-flamer. Johnny's Tools Trialing Tech Jen Goff demonstrates how to quickly and efficiently seed your Paperpot Trays. 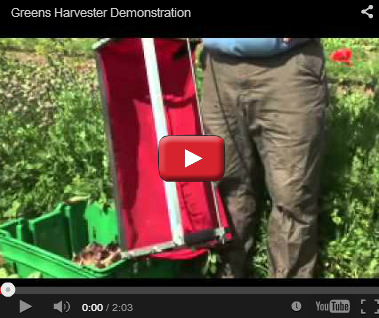 Johnny's Tools & Supplies Product Manager demonstrates how the components of the Paperpot Transplanter work together to enable you to plant up to 264 seedlings per minute. 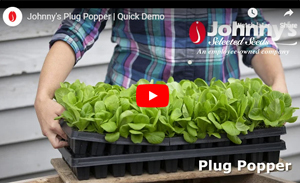 Johnny's Tools & Supplies Trialing Technician Jen Goff offers a quick demonstration of our Plug Poppers, a design that allows you to save time while transplanting by releasing an entire tray of plugs in just seconds. Evangeline Sarat from Sweet Land Farm demonstrates how they improved spring seeding efficiency by using the Precision Vacuum Seeder to speed up the process. Courtesy Cornell University Small Farms Program. Bend your own high- and low-tunnel hoops. Build season extension structures cost effectively with the Quick Hoops Bender. Available in 4 sizes. 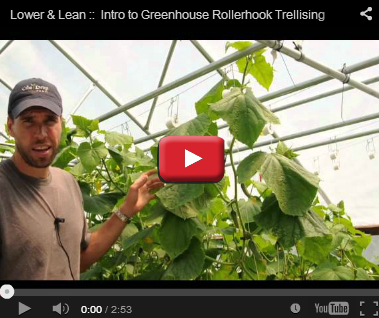 Greenhouse expert Andrew Mefferd demonstrates how to implement the "Lower & Lean" trellising technique with Rollerhooks and Tomahooks on your vining greenhouse crops to maximize valuable greenhouse real estate. Use these spun polypropylene covers to protect crops from cold and pests. Available in 6 thicknesses and dozens of sizes for a range of applications. 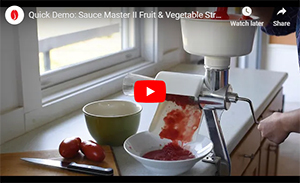 Johnny's Tools & Supplies Technician Jen Goff offers a quick demo of our Sauce Master II Fruit & Vegetable Strainer — see how quickly and easily you can process your garden bounty of tomatoes, leafy greens, berries, grapes, and all manner of fresh produce without precooking for canning, freezing, or fresh use. A short clip demonstrating how Row Markers in conjunction with our Seedbed Roller can be used for efficient planting bed preparation. Johnny's Tools & Supplies Product Manager demonstrates the Seedbed Roller, with Row Markers & Snap-In Dibble Accessories, to smooth the surface, score parallel lines for direct-seeding with a precision seeder, or mark it for uniformly spacing transplanted seedlings. Up to 6 rows can be planted at once, with 2-¼" spacing between rows. A roller in front firms and levels the soil. Make your own seed-starting blocks to encourage vigorous root development. 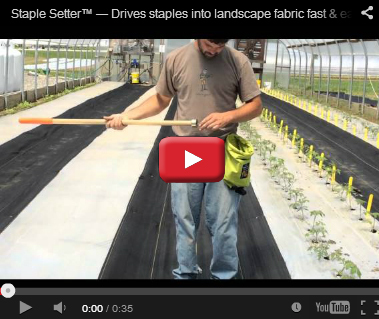 The Staple Setter allows you to efficiently drive staples into landscape fabric without bending over — a brief demonstration of this 42" long-handled anchoring tool in action. This innovative and versatile tool is driven by a powerful hub motor. Available in several configurations, with accessories that make it convenient and useful for numerous small-scale farmscaping projects. 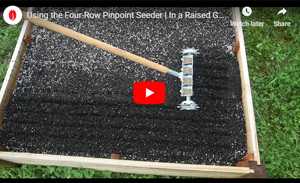 Johnny's Tools & Supplies Product Manager demonstrates how the Tillie is used to quickly and easily prepare a row for planting in a garden, as well as how to prepare a raised bed in a slightly larger growing space. Light and easy to transport, as well as fume-free, the Tillie is also perfect for tilling in the protected-culture setting, and for footpath cultivation. Changing out the rechargeable battery is also easily accomplished. 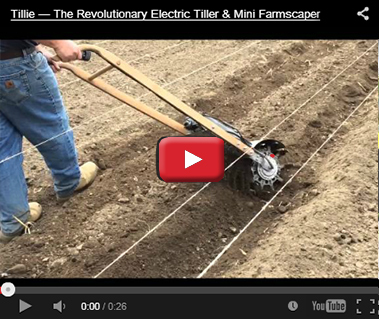 A lightweight tiller, designed to create perfect tilth within the top 2" of your bed by mixing in compost and fertilizer, while chopping up the roots of the previous crop. Conceptualized by Eliot Coleman and used extensively on his farm, after one quick pass with the tilther, the bed is ready for the next planting. 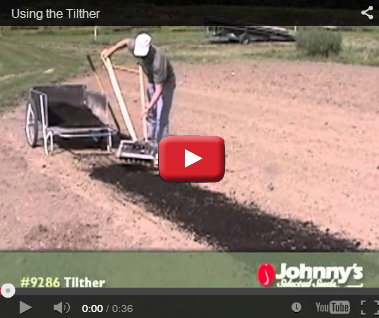 Johnny's Tools & Supplies Product Manager demonstrates how to use the Tilther to incorporate amendments and perfect the tilth of planting beds that are already established. 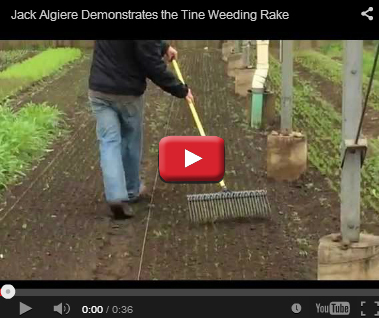 Johnny's Tine Weeding Rakes come in 3 widths — alter pressure and angle to vary functionality. 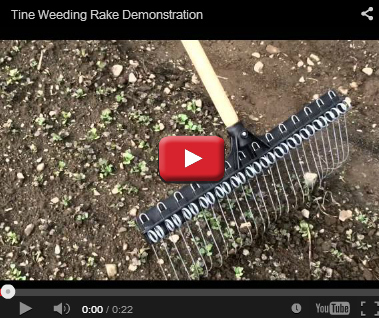 Clip demonstrates how rapidly removal of thread-stage weeds can be accomplished. The director of the four-season farm at Stone Barns Center for Food & Agriculture demos the 21" Tine Weeding Rake. Flexible, lightweight, food-grade polyethylene tubs make great harvesting containers and much more. Available in 4 sizes and multiple colors. Convenient collander insert also now available. 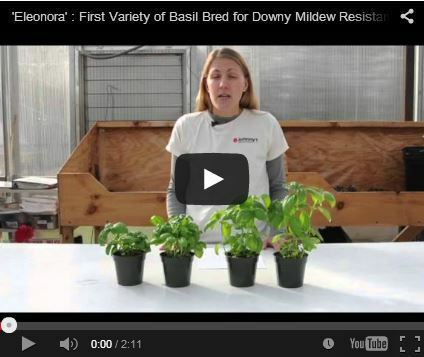 Its longer stem internodes and a shallower leaf cup confer 'Eleonora' with intermediate resistance to downy mildew. This well-branched, flavorful Genovese-type variety with short internodes produces an attractive, columnar, and highly productive plant that remains tidy, whether grown in the ground or in a container. 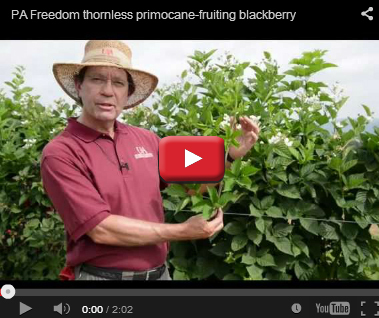 John R. Clark, PhD, professor of horticulture and fruit breeder introduces 'Prime-Ark Freedom,' the first thornless blackberrry producing exceptionally large, flavorful fruit on first-year canes. Courtesy University of Arkansas Division of Agriculture. From its cut-and-come-again habit to its tender stalks and sweet broccoli flavor, 'Happy Rich' mini broccoli has the qualities to make it a mainstay in the garden of Lauren Giroux, Johnny's Vegetable Product Manager. 'Monflor' broccoli was bred and selected to produce higher-quality florets on a looser, more open head than other standard heading broccolis, for one-cut, time-saving prep and minimal waste. Pruning the lateral growth points between the leaf, tendril, and developing fruit of trellised cucumber plants encourages upward growth and maximal yield. 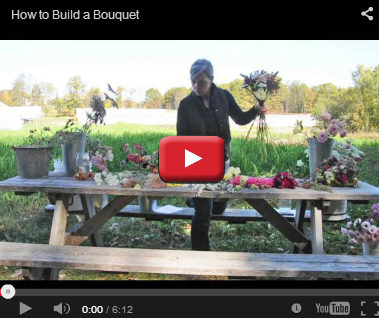 Johnny's Flower Product Manager, Hillary Alger provides simple instructions for building attractive, professional-quality bouquets using focal, spike, and accent flowers that have a range of shapes, sizes, and textures. Filling a Mason jar with seasonal blooms and branches is a favorite weekly ritual here at Johnny's Research Farm. Whether it is blossoms, fruits, herbs, or vegetables, taking a little time to reflect on the season's offering enhances our awareness of time, place, and seasonal rhythms. 'Teddy' is a unique and versatile dill variety, well-suited for either field or container/pot production, producing slow-to-bolt plants with a dense, 3-dimensional form and compact spirals of thick, flavorful leaflets. Many ﬂower blossoms are edible, and make excellent garnishes and decorations. 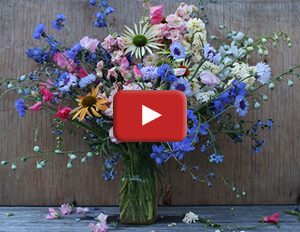 Grow your own assortment with Johnny's Edible Flower Collection. Take a look at Johnny's greenhouse eggplants — bred, trialed, and selected expressly for exceptional performance, quality, and yield under protected-culture conditions. Quick, reliable, and convenient, Johnny's Herb Disks make it easy to grow herbs successfully. Nine types of herbs available. 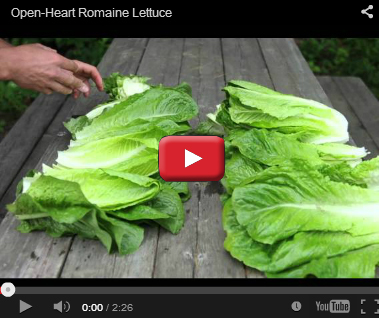 A comparison between leaf shape, dimension, and ease of preparation of the open-heart Romaine lettuce variety 'Auvona' and a traditional Romaine variety. 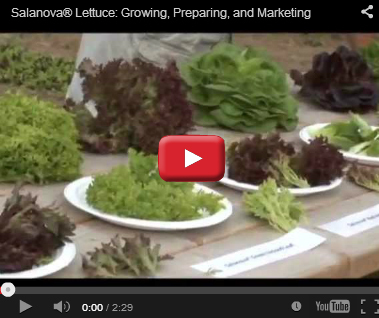 Salanova is a "one-cut" cored-head lettuce, with yields in our trials 42% greater than direct-seeded baby leaf lettuce. The heads are densely packed with single leaves that are baby-leaf sized. You create the salad by making one cut near the base of the head. Johnny's melon expert, Steve Bellavia, demonstrates how to quickly and easily tell when your Charentais-type melons are ready to be harvested. We are often asked by melon growers how to tell when the fruit is ready for harvest. Steve Bellavia of Johnny's R&D team shows how to tell when your tropical Galia-type melons are just right for slipping off the vine. 'Lambkin' is a Piel de Sapo variety, a newer, earlier cultivar of the type known as Santa Claus or Christmas melons. Here's what to look for as it approaches ripe-and-readiness, with a couple harvesting options to suit your preferences. 'Lilly' is a Crenshaw melon best harvested at the stage known as forced-slip . 'Lilly' is characteristically much earlier than most other Crenshaw varieties. Melon expert Steve Bellavia, of Johnny's R&D, demonstrates how to easily tell your 'Lilly' is ready for plucking, to ensure its distinctive sweet-spicy flavor is enjoyed at its peak. 'Sapomiel' is a large, sweetly aromatic Piel de Sapo melon, a type also known as Santa Claus or Christmas melons. Johnny's R&D melon expert Steve Bellavia shows how to tell when it's just the right time to cut 'Sapomiel' Piel de Sapo melon fruits from the vine. 'Sun Jewel' is an oblong melon of Korean origin, with yellow skin and crisp white flesh with a delicate, unusual flavor all its own. To be sure its subtle flavor is fully enjoyed, melon expert Steve Bellavia of Johnny's Research team details signs of ripeness and slipping your specialty 'Sun Jewels' off the vine. 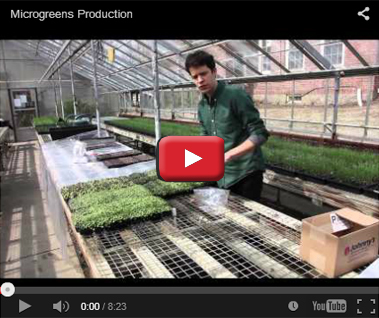 Johnny's grower information specialist and sustainable agriculturist Thomas Macy, with an review of the fundamentals of microgreens production, including some calculations for approximating your return on the investment. 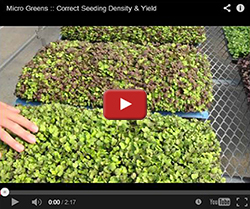 Microgreens tech Steve Rodrigue provides some pointers to ensure you are seeding your microgreens for optimal efficiency, health, and yield. View closeups of our popular, easy-to-grow Mild Micro Mix and Spicy Micro Mix. There are 4 main reasons why we offer 'Blush' Onion in our catalog; here is why you may want to grow this beautiful, great-tasting onion that really performs in the field and keeps well, too. Ancho (Poblano) peppers are the classic peppers for the traditional Mexican dish, chiles rellenos, made by stuffing the grilled peppers with cheeses and/or minced meats and vegetables, battering them with an airy egg coating, then frying until crispy — true Mexican comfort food. 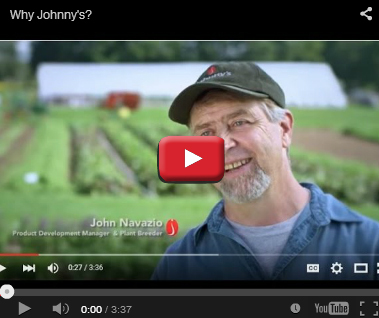 Learn about Johnny's selection of greenhouse peppers and the key features we look for when selecting peppers for top performance in a protected-culture environment. Hoophouses allow you to extend your growing season before the last frost and after the first frost by providing a naturally warm shelter for plants. Johnny's Trials Technician Steve Rodrigue reviews our recent season extension and overwintering trials, conducted here in Central Maine at Johnny's Research Farm, and discusses a number of exceptional winter-hardy varieties available from Johnny's Selected Seeds. Shoots are a quick-growing, easy-to-grow, nutritious, and high-value crop that can be produced year-round at any latitude. Take a closer look at our 'Dwarf Grey Sugar Pea' Shoot. Summer squash expert Julius Koenig of Johnny's Research team shares some tips and recommendations for edible squash blossom production. Yellow at the stem end, pale green at the blossom end! Learn to recognize when and how to harvest this distinctively patterned, delicious and productive summer squash for optimal flavor and texture, from the experts at Johnny's Research Farm. 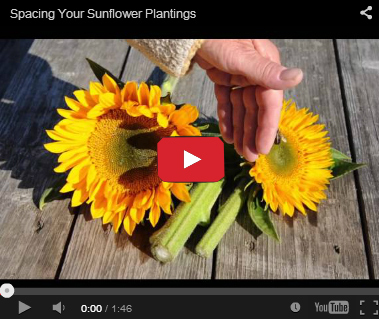 Tips and recommendations from Johnny's Flower Trialing Technician, Peggy Huff, on designing your sunflower plantings for optimal efficiency, quality, and yield. Sweet potatoes are easy to grow and highly nutritious. Using black plastic helps warm the soil and will get your slips off to a good start. Johnny's Vegetable Product Manager Pete Zuck reviews the attributes that make 'Peppermint' one of his favorite Swiss chard varieties. Small fruit, superior flavor, and distinctive appearance are the defining characteristics in this line of unique, classically bred tomatoes. Visit our research trialing greenhouse as Andrew Mefferd provides tips on determining when to harvest your Artisan Tomatoes™. 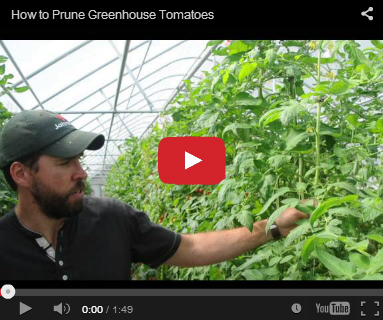 Get instruction on both side- and top-grafting of tomato plants using grafting clips and a razor blade, as well as key cultural pointers for greenhouse tomato production in this 20-minute video. Courtesy University of Vermont Extension . Pruning greenhouse tomato plants is worthwhile to balance vegetative versus reproductive output and minimize conditions that favor disease. 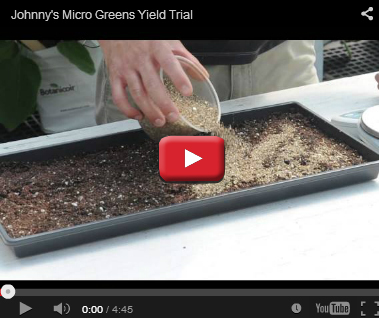 Andrew Mefferd, Johnny's expert in fruiting greenhouse crops, demonstrates this quick and simple technique and explains the benefits. Increase fruit yield and lessen disease pressure by pruning your field-grown indeterminate tomato plants. It's easy! Learn how to prune. 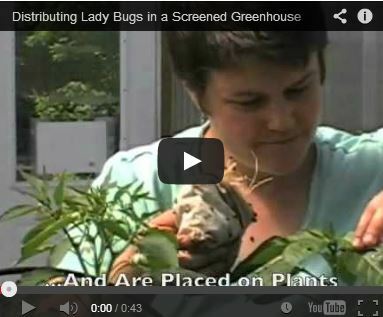 Watch a demonstration of how we distribute ladybugs at our Research Farm in Maine in this short tutorial. Late blight (Phytophthora infestans) occurs commonly each year in many places around the US and world. Learn how to identify late blight in your garden. Suggestions for preventing, controlling, and managing late blight with copper fungicides and other methods. The hornworm is a large caterpillar that eats many parts of the tomato plant. 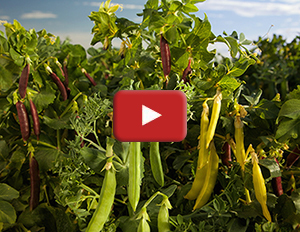 Learn how to prevent these pests from devastating your crops. Dynamic Comparison Charts & Key Growing Information Pages Watch Our 1-Minute Tutorial Clips!